Chinese road-building teams entered around one kilometre inside Indian territory in Tuting area of Arunachal Pradesh last week but returned after being confronted by Indian troops, government sources said on Wednesday. The sources said the civilian teams came for track alignment activities and returned when confronted by the Indian troops, leaving behind various road building equipment including excavators. According to local villagers in Arunachal Pradesh, the Chinese team members included civilians as well as uniformed personnel. The incident took place on December 28, nearly four months after the end of the 73-day long Doklam standoff between Indian and Chinese troops in the Sikkim sector. The sources said on December 28, Indian border patrolling personnel observed few Chinese civilians undertaking track alignment activity one kilometre inside the Indian territory in Tuting area. They maintained there was “no face off” between the two sides and that the issue is being resolved through an established mechanism. The government sources said the road building equipment are lying on the Indian side of the Line of Actual Control (LAC). According to local villagers in Arunachal Pradesh, Chinese soldiers were involved in road construction work in the area and that Indian security personnel intercepted them near Bising village under Tuting subdivision. The villagers said Indian soldiers confronted their Chinese counterparts and seized their road construction machines including two excavators. Nyomin Tekseng of Zido village near the frontier and Pema Nyisir of Gelling village said that two excavators have been confiscated. “The road cutting is also clearly visible from the right bank of Siang river at Gelling which is about 7-8 km by aerial distance from the site. Indian and Chinese troops had pitched tents at the freshly cut road and had erected a boulder wall,” Nyisir said. The villagers informed a local policeman, who in turn alerted the ITBP deployed in Medog, near Bishing. 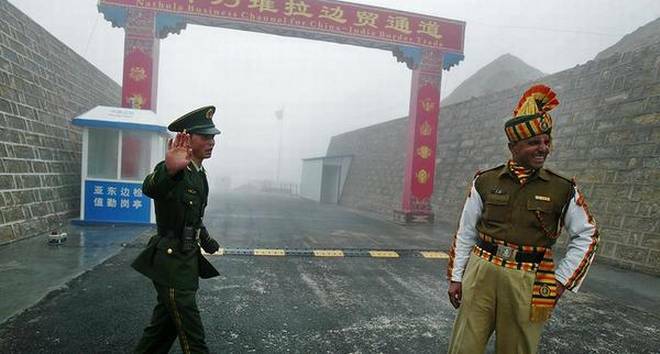 The ITBP personnel reached the spot and asked the Chinese personnel to return. There was reportedly an exchange of words but the Chinese refused to yield. The Indian Army also sent a patrol to the faceoff site, where it continues to stay. Though the site is part of the ITBP’s area of responsibility, there is a heavy deployment of the army in the region. When contacted, Upper Siang DC Duli Kamduk said, “Our officials in Tuting subdivision have not reported any Chinese incursion.” State’s chief secretary in-charge Marnya Ete said he had no such information.